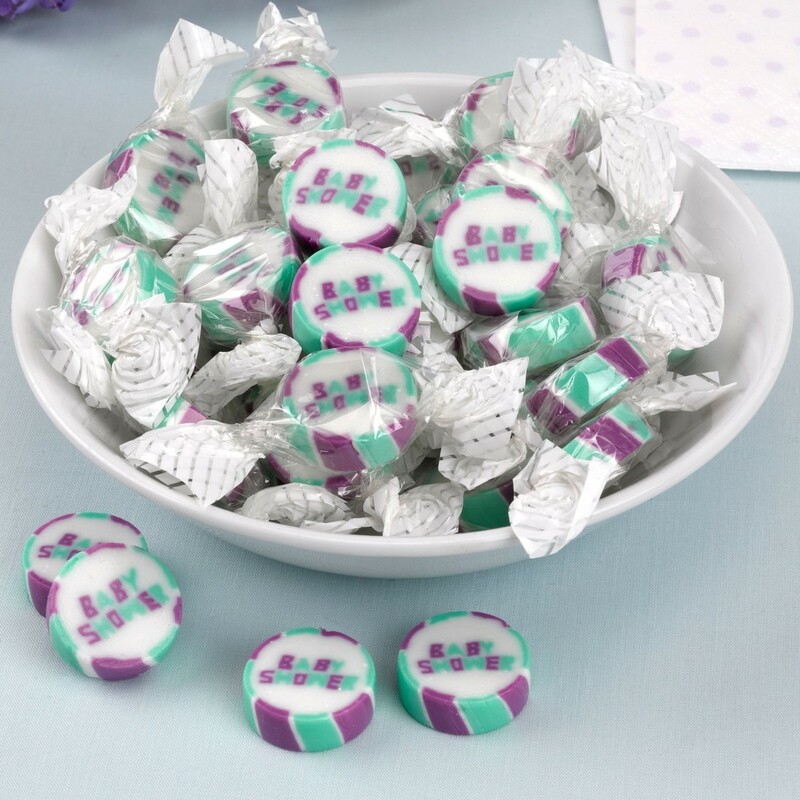 Give your guests a sweet treat with these retro-style BABY SHOWER rock sweets. Ideal as the perfect addition to your favour bags. Both delicious and pretty to look at, these sweets feature the words 'Baby Shower' text in a vibrant colour within each individually wrapped sweet. These sweets will last for up to 18 months and are 23mm in diameter. Suitable for vegetarians. 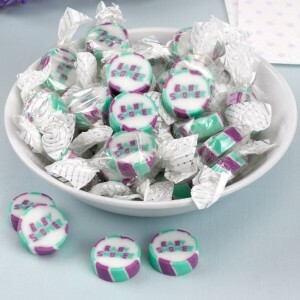 Give your guests a sweet treat with these retro-style rock sweets, the perfect addition to your baby shower favour bags. Both delicious and pretty to look at, these sweets feature 'baby Shower' text in a vibrant colour palette. Individually clear wrapped rock sweets. Each sweet has the wording 'Baby Shower' . These will last for up to 18 months and are 23mm in diameter. Suitable for vegetarians. Sold individually so you can order the exact amount that you need for your favour or party bags. 21p each.